The anode to cable connection is made using a copper compression connector which is sealed using a two part epoxy. 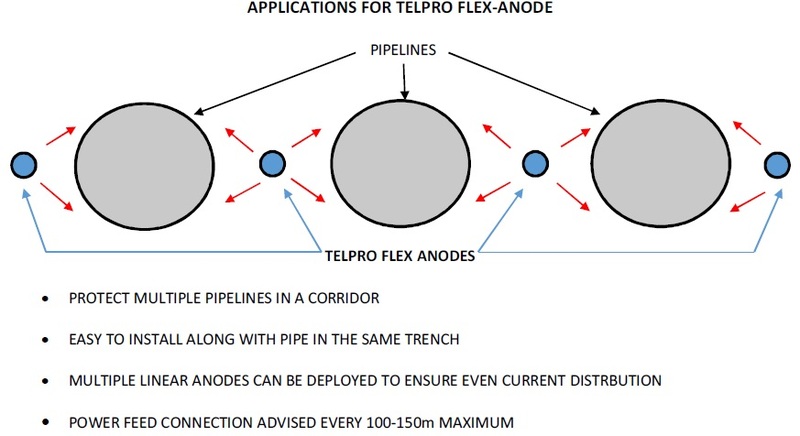 Spacing of the connections will vary depending on the anode used, cable size used and environment where assembly will be installed. - Above and below ground storage tanks.